The Board of Directors is proud to announce that BENCHS has been named the 2019 Service Above Self Organization Recipient by the Greater Mankato Rotary Club! The purpose of this award is to recognize an organization in the community which demonstrates the Rotary's spirit of service. What an honor! On February 27th, we will be celebrating the work we do at a noon lunch with members of the Rotary Club. The Board of Directors of Blue Earth Nicollet County Humane Society (BENCHS) is pleased to announce new leadership in the organization. The Board of Directors conducted a national search at the end of 2018 which generated 50 applicants. At their monthly board meeting on Monday, January 14th, the Board of Directors introduced Andrew Burk of North Mankato as the shelter’s Executive Director. As the Executive Director for BENCHS, Burk will oversee overall management of the organization. His experience in management, budget, operations, and marketing will allow BENCHS to plan more effectively for the future and introduce innovative approaches to sharing our mission. He will continue the shelter’s efforts with business partners, and will lead the shelter in communications with city and county animal welfare communities. 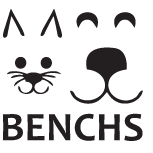 BENCHS currently maintains contracts for animal sheltering services with City of Mankato. The board decided to maintain the shelter’s manager position. Burk began his new role at the shelter on January 9, 2019. The transition of adding an Executive Director to the shelter management has been smooth and effective. Burk said Sunday, as he began his career in animal welfare, “I have found what I was truly meant to do!” Burk and his wife Brooke have two little girls, as well as rescue dogs of their own.